Some questions of the Christian life lend themselves to easy answers from the Bible. Questions like, “should I pray?” or “what is the proper motive for everything I do?” – these questions require little reasoning from the Scriptures. But other questions are a bit more complicated and require more digging in the Word. Truth & Circumstances is a podcast dedicated to answering these kinds of questions. Along the way, we’d like to help train believers to reason from the Scriptures so that they can find guidance for such issues themselves, and ultimately, live in a way that reflects the glory of God. 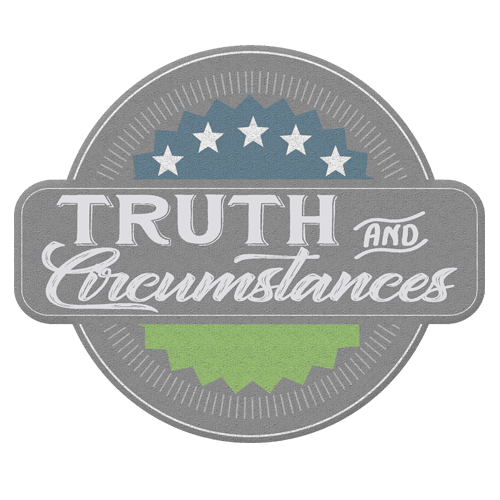 Truth & Circumstances is hosted by Kyle Lamb. Kyle is passionate about engaging the culture with the relevance of the gospel of Jesus Christ. He is currently pursuing his bachelor’s degree in Biblical and Theological Studies at Boyce College and works as a technician at Apple. In his free time, he likes to read, play video games, and drink coffee. He and his wife Ashley have been married since 2014 and are expecting a little girl this Summer. Kyle is joined by Greg Birdwell, elder and preaching pastor at Providence Bible Fellowship. Greg loves studying, teaching, and preaching the Word. He holds a Doctor of Ministry degree from the Southern Baptist Theological Seminary. Greg enjoys reading, hunting, dating his wife Shelby, and not drinking coffee. He and Shelby have been married since 1995 and have five children. Truth & Circumstances is a ministry of Providence Bible Fellowship in West Chester, Ohio. At PBF, our desire is to glorify God in all we say and do – teaching others to do the same as we grow together in the grace and knowledge of Him.